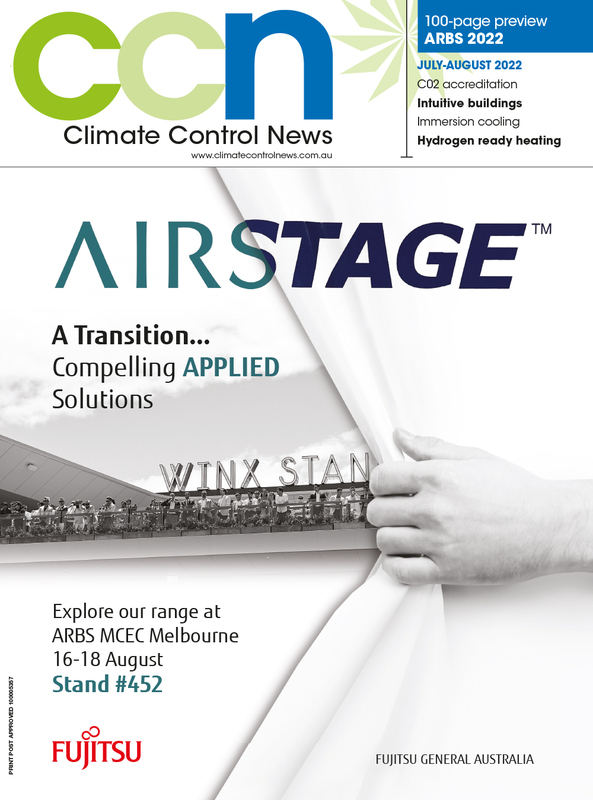 Heatcraft utilised the ARBS 2018 platform to showcase the depth of its refrigeration equipment range. With its dual capability across local manufacturing and global partnerships, the company is able to harness the latest design, compressor, refrigerant and air movement technologies to meet all capacity, efficiency and environmental stewardship targets and obligations. One theme consistent across the range is the attention to customisation via factory-fitted components and pre-wiring. It leads to “ease of install, ease of service and efficient operation” – all key attributes of Kirby® equipment. To that end the range on show included the launching of such items as the Kirby Multiwave Cascade Low Temperature CO2/HFC condensing unit package. The Multiwave Cascade system can potentially deliver a 30 per cent saving across the refrigeration plant costs due to the elimination of a conventional central plant room. Since space can be an issue with small format retailers such as small grocery retailers, having the multi-compressor rack system, condenser and fully configured switchboard all integrated and contained in a fully enclosed, purpose built enclosure makes it an ideal solution. This ‘plug and play’ system includes high efficient, air-cooled V-section condenser blocks, coupled with low noise EC fans and world leading Copeland or Dorin brand compressors, fitted with variable speed capacity control drives. Fully wired and pre-programmed Emerson pack controls make for a fast installation, assured control and performance benefits that are well suited to manufacturing and heavy duty storage facilities where temperature conditioning is paramount. Also on display was the new Kirby Centurion Multi-Scroll condensing unit with multi-scroll technology completed wired, connected to the condenser and ready for installation. The introduction of multi-scroll compressors offers greater flexibility and capacity control with high system efficiency at both full and partial loads. This is achieved with the use of EC condenser fans and Copeland Scroll Digital variable capacity combined with fixed capacity compressors. The lead compressor features digital capacity control to optimise energy performance and minimise carbon footprint. The next generation of Kirby Nullarbor condensing units has been developed to meet the growing demand for larger capacity installations. Incorporating the new Kirby KA series compressors delivers reliability, proven performance and lower noise levels. Developed for harsh Australian conditions it is rated for operation up to 46° Celsius ambient. It’s compact footprint is combined with easy access to service points for a seamless installation. Capacity range is from low temperature 2.0kW to 5.3kW to medium temp at 4.7kW to 7.0kW. The Kirby eCompact CO2 condensing unit is another adaptable ‘plug and play’ CO2 solution that is designed for maximum reliability, efficiency and operating performance at low temperatures. A solution to make CO2 applications possible across a wider application base. Providing a significantly lower global warming potential than primary HFC systems, the Kirby eCompact runs as a cascade system off a high side system that can be either a Glycol chiller or other HFC system. Low temperature capacity ranges from 2-10kW. Efficiency and enhanced performance is made available by the use of variable speed capacity control via a digital Copeland Scroll or Dorin semi-hermetic compressor coupled with a variable speed drive. Air conditioning product from Lennox was also on display by Heatcraft. There was the opportunity to preview the latest Lennox ducted split system and multi head split system range additions. For commercial use, the Lennox Aqualean is a water sourced heat pump packaged unit designed to provide high efficiency air conditioning and ventilation for the likes of hotels/motels and open-plan, cellular offices. Uniquely, the Aqualean 2kW and 3kW units offer the lowest height profile in the market at just 230mm. Since a building’s air conditioning equipment typically occupies the ceiling space, the units have the potential to save 125mm in each floor ceiling.